A jolly patchwork cushion with applique. 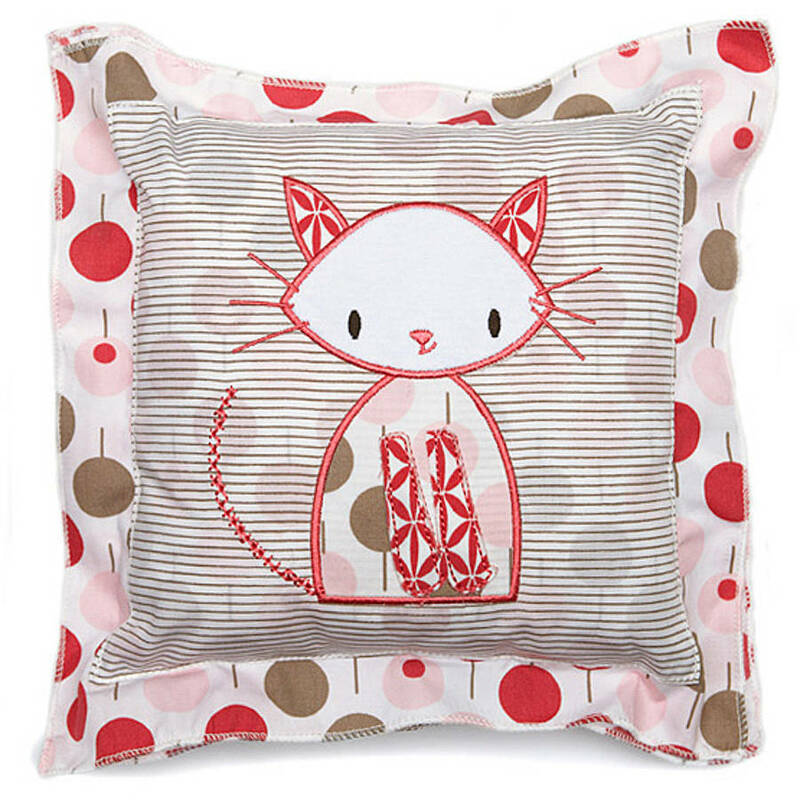 The friendly animal appliqué sits on top of a soft cushion, 40 cm square, with contrasting pattern for the edgeing and the reverse - as pretty as a picture! 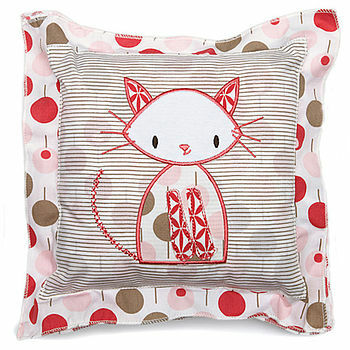 Little ones will love the colouful pattern and the animal - they will enjoy discovering all its details. A perfect gift for a child for Easter, Birthday or Christmas! The cat applique sets off the lollipop tearose print beautiful - so does the elephant applique matched together with the lollipop sea allover print. Cushion comes with removable inner cushion. This product is dispatched to you by ella & otto.